Eclipse Day Spa is an oasis nestled outside the hustle and bustle of city life. We are a place where you can come to relax, unwind, feel pampered and treat your body. It is our dedication to ensuring our beloved guests leave feeling refreshed, invigorated and beautiful. We do this through an extensive list of nourishing beauty treatments. One of our most popular treatments is spray tan. We offer a variety of tan treatments that are sure to make you feel and look absolutely gorgeous. 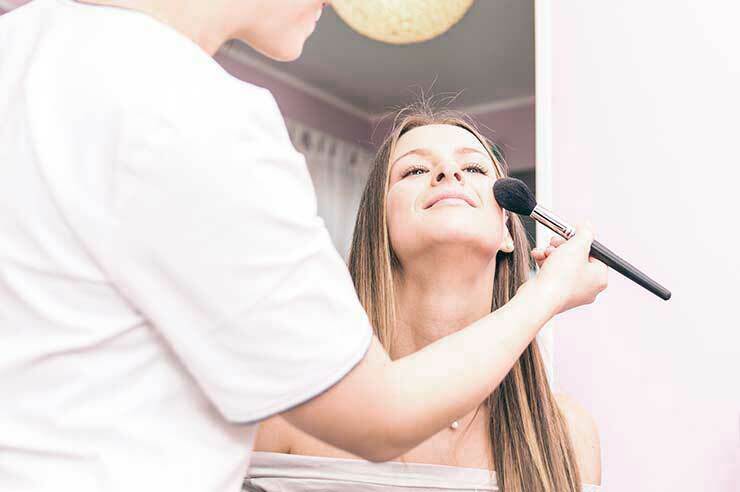 Our team of highly skilled, trained and experienced beauty therapists have the knowledge of creating the perfect spray tan, and can do so in a way that complements the existing tone and colour of your skin. Located in Rye near Rosebud on the beautiful Mornington Peninsula, next time you find yourself asking ‘where can I get the perfect spray near me?’ think of the wellness professionals at Eclipse Day Spa. Full Body Spray Tan: Have a special event coming up and you are seeking a gorgeous, natural bronze? Our spray tan option is perfect for browning the skin and looking incredible. Full Body Organic Spray Tan: Our full body organic spray tan uses the finest ingredients to create a gorgeous, natural bronze across the body. Scrub and Spray: Exfoliate your skin before indulging in a beautiful, healthy spray tan. If you have a special event coming up and require the full treatment, look no further than Eclipse Day Spa. Our extended list of services are designed to provide total comfort and empowerment for women wanting to look absolutely stunning for a special occasion. Included in our options is waxing, lash and brow extensions, makeup options and facial treatments (just to name a few). You can even have a relaxing, nourishing massage to help you unwind before the special occasion. Allow yourself to be treated and pampered by the beauty specialists at Eclipse Day Spa. Have you got any questions regarding our spray tan options that you would like to discuss with our friendly team? Or would you like to make a booking enquiry? We are committed to providing an exceptional standard of service at Eclipse Day Spa, and will be happy to answer any questions you have for our team. Call us on 03 5985 1155 or submit an enquiry form on our contact page. We will get back to you with all the information you require.